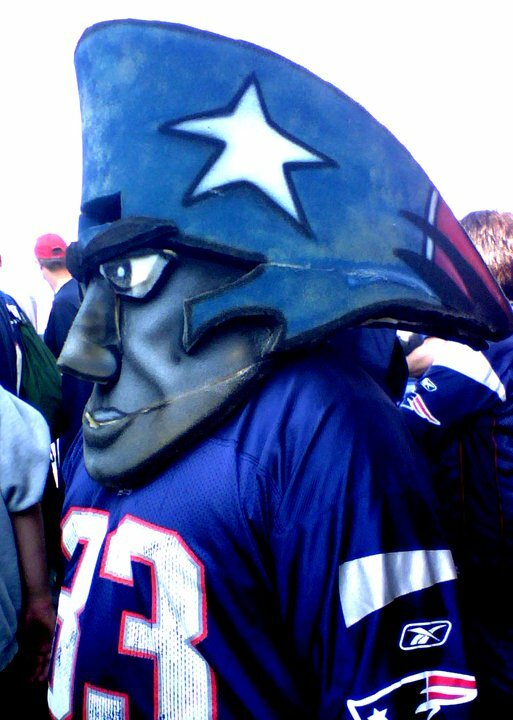 Patriots + Toaster + Christmas = Awesome - Cursed To First - Sox and Pats forever. We attended a Christmas party for my husband's extended family last night, where my brother-in-law Jim gave us a gift. Not just any gift, but a PATRIOTS LOGO TOASTER. That's right. 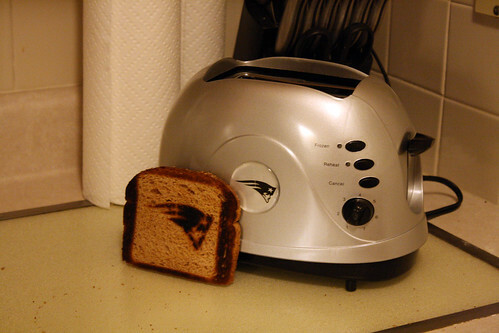 This isn't a simple toaster with a Patriots logo sticker slapped on the side -- this toaster actually toasts the logo of your team INTO THE BREAD. I don't know what I love more -- the toaster, or the fact that we were the people my brother-in-law thought of when he spotted this item while Christmas shopping. 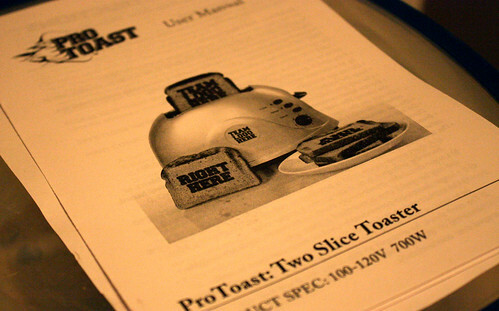 There are no words to describe how beautiful that toaster is. I am in awe! That toaster is a beautiful thing. 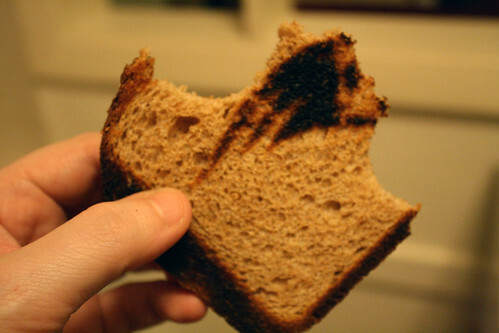 And that toast is making me hungry... for VICTORY!